“Good” Contemporary vs. Classical art and sculpture? What qualifies as ”good art”? Some would say Rembrandt. Some would say Monet. The list can go on for ever. Long and winding with male names following one after another. Della Robbia, Da Vinci, Caravaggio, Poussin, Turner, Van Gogh, Larsson, Malevich, Rothko, Hockney, Hirst. You get the picture. All these gentlemen are supposedly representing what the Western World would call ”good art”. Decided by a handfull of collectors, curators, auction house representatives and, not to forget, art historians. The general public follow suit and consider the most expensive pieces of art sold at leading auction houses around the globe as ”good art”. 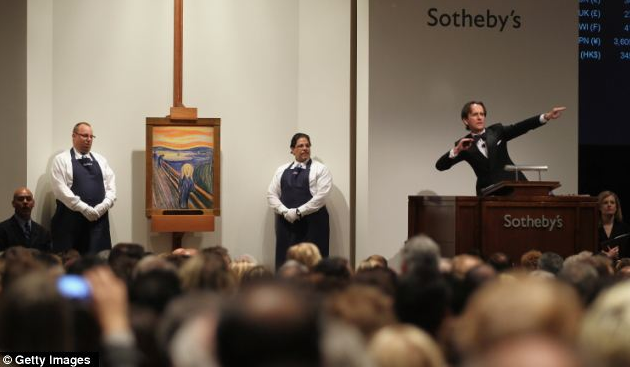 Because if it isn’t good, why would someone pay $119.9 million for a painting? Point taken. And ceartainly, ”The Scream” by Edvard Munch is a fantastic painting. All four versions of it. But one ought to question why. 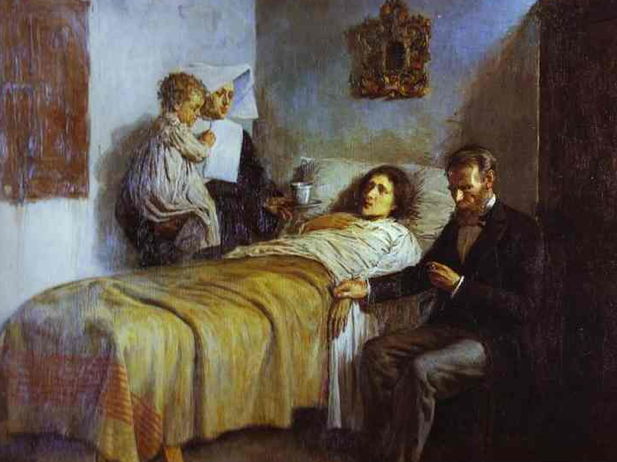 What is it that turn a painting into ”good art”? 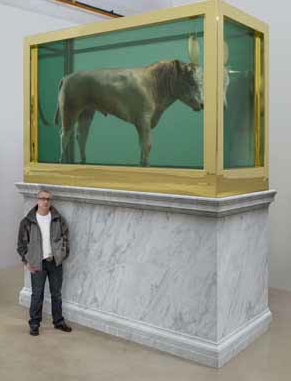 Is Damien Hirst’s ”The Golden Calf”, sold for $18.6 million in 2008, six and a half times less good than Munk’s ”The Scream”? I doubt it. Regardless if one finds an artist interesting or not, the question if his or her art can be called ”good” is a different cup of tea. But, sure, that depends on what one reads in to the concept of ”good art”. I find it rather stupid to call certain pieces of art ”good” since, inevitably, some other pieces must then be called ”not very good”. I would rather one talked about if a piece of art stirs something inside you, touches you, makes you question the concept of art and the world around you. I can see that this sounds rather free spirited. Still, it is important that a piece of art makes you ask questions. Be it about yourself, your immediate surroundings, your friends, the world. Earlier today I saw a wonderful example of just that. Art that makes you question what we really see. with all the sexual tension, experimental lust of adolescence and all its insecurities literally ooze from the piece, and then know that on the top floor is The Water Lilly (finished 1896) by Per Hasselberg (1850-1894), which is the equivalent of von Zeipel’s work but 116 years earlier. Both represent female beauty in the way many male visitors would envision a young, beautiful girl. The femme fatale in perfect presentation, with a natural and naturalistic twist. What we want and what we see is not always comme-il-faut, but both Hasselberg and von Zeipel present the visitors with possibilities to dream, be scared, be carried away, wonder, question what we want or not want and what we dare or dare not to say. Regardless, the contrast is very effective. Also a second time does von Zeipel question our identity as visitors. This time it is the male who gets the same treatment as above. On the second floor, in one of the galleries with georgian statues and busts (now covered with white fabric by the artist) is the piece Runkballe (2012). 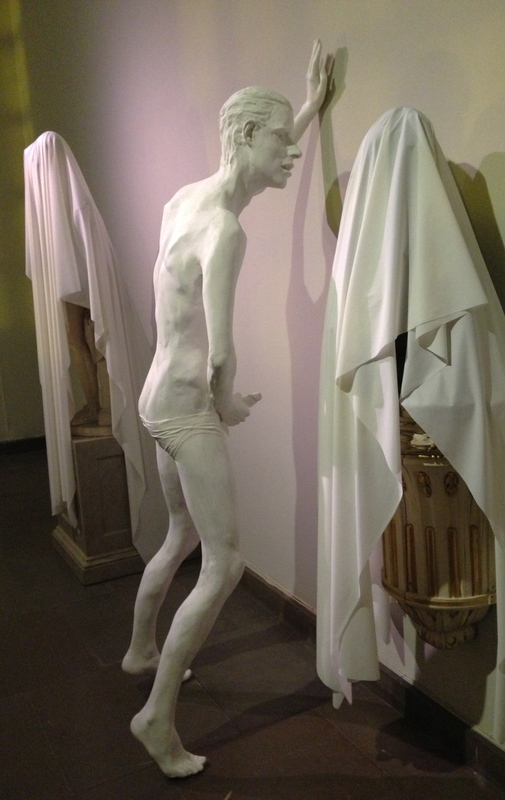 A man with his underpants halfway down, masturbating, leaning againts a wall. Apart from some comic contrasts (is it deliberate or did it just happen by chance? 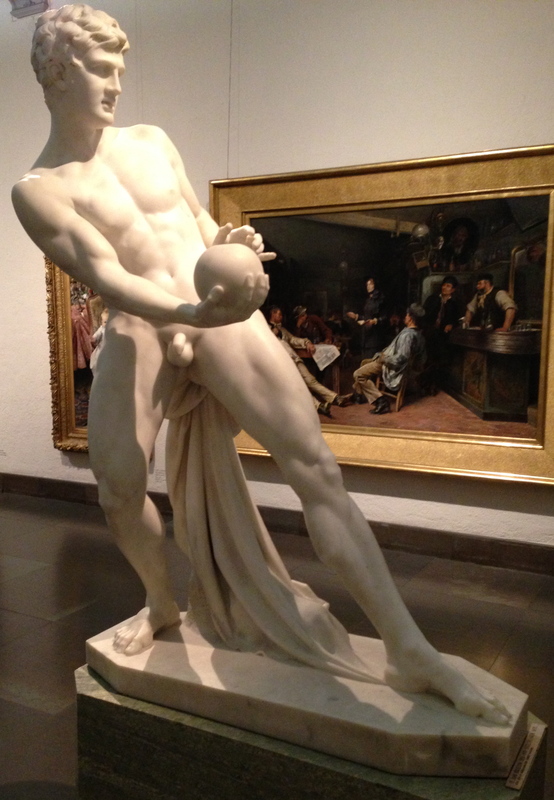 I guess we’ll never know) with some of the 18th century statues next to it, by Johan Tobias Sergel (1740-1814), is another clever clash between the young, male identity of the 21st century and the romantic ideal in the piece Kägelspelaren (1871) by John Börjesson (1836-1910) that can be found on the same floor. From the beautifully toned, romantic sporting ideal to todays slightly anorectic, stressed and overly sexualized male. Is that how we are seen? Is that how we look? Is that how we are? I don’t know. But what I do know is that von Zeipel manages to gracefully overbridge and connect two completely different ideals. She manages to ask vital questions via her art. Questions about cultural identity, about belonging, about what we want and what we do. She puts questions in front of us that we can’t escape. To manage that is to manage the fine balance of creating interesting, and perhaps even ”good”, art. And that’s what it’s all about. I could have done that myself! It’s well known that the general public don’t like contemporary art. This trivial statement in fact contains two opposing attitudes. The average member of the public, coming across a display of contemporary paintings or sculpture, will stop in front of it, even if only to laugh. His attitude will fluctuate between ironic amusement and outright sniggering. Either way, he will be aware of a certain element of derision. The insignificance of what is on display will be a reassuring guarantee that it is harmless. It’s true that he will have wasted his time, but not in the end in a particularly unpleasant way. So what is it then that makes these selected few worthy of their place in the artistic top layer? 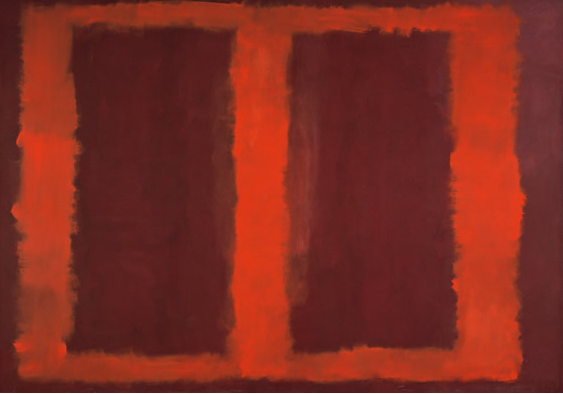 Why are Jackson Pollock and Marc Rothko such stars, together with Malevich, Mondrian and a not insignificant number of others? Not to mention Picasso. Women with three eyes and five breasts?, you may say. How can that be any great? In my view it comes down to just one thing: they were there first. They came up with the idea. 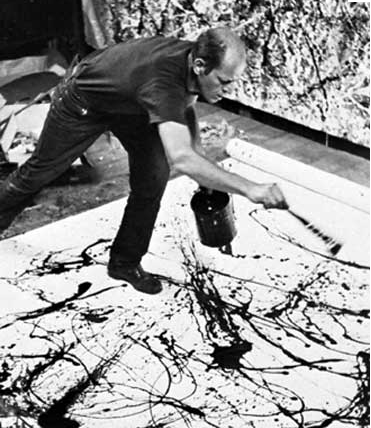 There is no question about the truth in the statement that a four-year-old can paint like Jackson Pollock. Of course they can. But they don’t paint like him when they grow up, they consider it childish when they become teenagers. And with that attitude they don’t change the map when questions arise in which direction the art movement will go. But Picasso did. 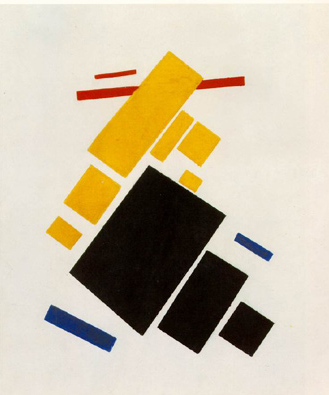 So did Malevich with his squares and white backgrounds. So did Jackson Pollock with his streaks of paint. They questioned and wanted to go beyond what was common and ordinary. For me this is what it all comes down to. When we grow up we conform to society and keep to the same track our teachers, friends and family tell us to. We might not be content and we might be unhappy, but we still stick to the Big Plan that is shaped like it has been for hundreds of years. We are taught to “think outside the box” but as soon as we do no one dares to hire us and our neighbors start talking about us behind our backs. Why? Is that what we want? No, certainly not. But still, we allow ourselves to laugh at the artists that dared to change the art world and brake out of the conformity of the Academies and the monetary power of the patrons. So come on and celebrate them, think about what they did. 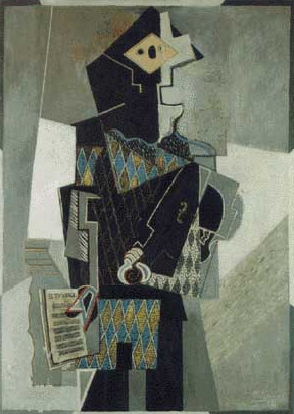 Imagine yourself in 1918, having only seen traditional painting and then all of a sudden you’re confronted with an early Cubist Picasso. You might not have liked it, you might still snigger, but admit that it was pretty brave and amazingly stubborn of him to carry on with this idea of his. Well aware of what the critics and patrons were saying, there where master painters who had gone the traditional way through the Art Academy just like Pablo Picasso and still wanted to break out of the conformity. 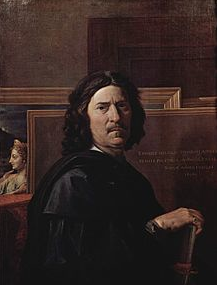 I am the first to agree that Flemish renaissance painting is amazing and beautiful, but it can’t just go on like that. Next time you visit an art exhibition of contemporary art, look at it with new eyes. Think about what it takes to create what these artists created and still create. Laugh when it’s too weird, sure, but don’t forget what’s behind it. Remember the courage sometimes mustered to do what they did. To do what they do today. For us.